I just started reading a book that clocks in at over 900 pages. 900 pages! Just imagine that. Before I bought it I read the online reviews on Amazon. The reviews were good but one issue kept cropping up: the book was too long. In fact, this particular novelist is known for her long books, usually in the vicinity of 500-600 pages. I’d read several before. I haven’t read a book that long since I read Herman Wouk’s wonderful “Winds of War” which is over 1000 pages in pocket paperback size. 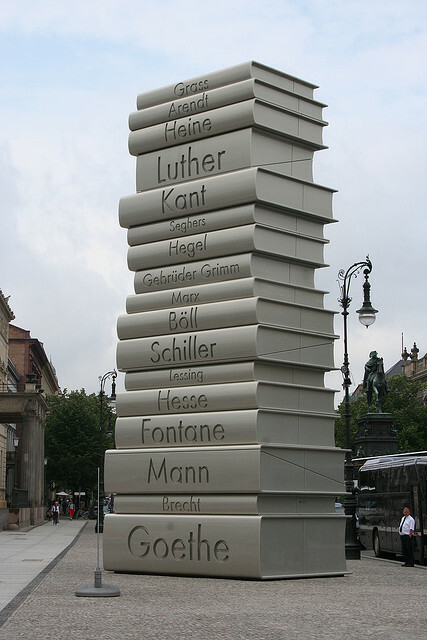 This got me thinking: How long should a book really be? If you are to believe Chuck Sambucino (whose work in Writer’s Digest I do admire), any book over 110,000 words is too long. This seems entirely too didactic to me unless we’re talking about specific genres such as children’s books. That would mean that many very famous and well-loved masterpieces are “too long.” Of course, any bad piece of writing is too long even at 60,000 words which he further suggests is too short. It’s not that cut and dried. Kurt Vonnegut reputedly gave this advice to writers: “Start as close to the end as possible,” which suggests to me that there is likely a place in every story that is the best place to enter it. Indeed, I believe that this applies equally to non-fiction and fiction. Starting too far from the end means that you’ll include far too much extraneous material. I really don’t believe that here is any ideal length. If a story sustains itself for a long session, then that’s probably right. However, over the years I’ve challenged students to take their best 1000 words for example, and edit it ruthlessly down to half that length. Then, I’ve said, you’ve got really tight writing. You have to do it without losing the message of the piece and leave out every extraneous word. They hate it because they want to keep every bon mot, every personal device and turn of phrase. Not every word we write needs to make it to our reader. Keeping unnecessary material suggests to me one of two things: either you are a serious narcissist who believes that every word you write is precious, or you are seriously in need of an editor. And in that royal “you” I include myself sometimes. We all do it. I’ve even argued with editors about their opinions on some things to leave out. They usually win. For beginning writers, I think that the biggest pitfall in keeping the story to the essentials is including too much backstory. Backstory is for us – the writers – so that we can come to know and animate in our own imaginations our characters and the places they where they live and breathe. This applies equally to fiction and non-fiction. Knowing how to reveal and how much to reveal is the key to a tight story. When I’m reading I can always tell when a writer wants the reader to know just how much research he or she put into a story. And I shouldn’t be able to sense that. Just as in our interactions with people around us, our interactions with books can have TMI: too much information. I think that it’s wise to understand that your notebook s and the material contained in them are first and foremost for you, the writer. Making a decision about how much of that you need to share with your readers is one of the keys to good writing. I’ll let you know how I feel about the 900-word book – if I ever get through it! I truly do not like to read extra long books. For me 300 pages are just enough. I like to read a book in one go and with 900 pages that is impossible. Too much unimportant detail and lengthy discourses does not do much for a book. In fact I believe in “Short and sweet.” Long does not impress but bores the reader. Hello Brenda…Thanks for weighing in on this. Your preference to read a book at one sitting is interesting. Many people probably agree with you, especially these days. Many others prefer a longer, engrossing story that draws them back session after session. I think back to books like “Winds of War” and “War and Remembrance” (Wouk) and remember wanting them to continue even after their 800+ pages! I think that if a book is well-crafted, with characters you come to know, it’s often a book that you don’t actually like to see the end of. Then, of course, there are times when we do want a shorter, quick read. Unless you are marketing to those having plenty of time to sit and enjoy a lengthy book, the rest are probably not keen on a thick book. I recall looking into learning Java…. yes, that ‘Java Bible’ but that was more coding than actual reading and hardly no possible way to read it through and decipher it all. People love a good book… they also have lives to live. Keeping that in mind, I write hoping not to be repetitive, long drawn out, boring, or obsessing on too much detail. It should be enough to provide the entertainment they seek, the added thrill one gets from reading a book… but you also don’t want to take them away from their daily lives neglecting the important things. Now if your book ripples them to the extent they drop their daily activities completely and takes them a month to complete…. just not a good thing. Thanks for stopping by the blog. I think that if a book is terrific, the writer need not worry about his or her readers’ lives. Most of us who enjoy a good book fit it in and if it takes a month or more to read it, as long as it keeps us interested, we’ll go back for more — we’ll probably just not watch television! People still watch television? I figured the internet and movie rentals would be taking up much of their time. I’m quite sure upon receiving a lengthy book most would spend the time to read it – as long as it keeps them hungry all the way through. I love the fact that Tolkien split ‘The Lord of the Rings’ into 3 distinct parts. In my mind, it’s one book but having it in 3 parts made it more manageable, especially as I was only 15 the first time I read it! Just goes to show that a really engrossing read can be of (almost!) any length. Thanks for stopping by the blog, Wendy. Bigger books take longer to edit and they cost more to produce, meaning the publisher is taking a bigger gamble on your book making them money. And because they cost more to produce, they have to be priced higher, meaning a reader may choose a lower-priced book over yours. In my opinion: an unknown author + a too-long book = a decreased chance of traditional publishing and poor sales. Thank-you, Susan, for the editor’s perspective. We don’t always get that here and I’d like it more. The realities of the publishing world are so important for aspiring writers to understand.